We have discovered a brand new secret lair: this one has sturdy wet weather shelters and spaces as well as fields to camp, play and run wild in. Not to mention a river to swim in AND super friendly goats, alpacas, ducks, chucks – and a super rare type of bridge (if you are into interesting engineering!). Exact location after booking, but it’s about 8 miles from the spa town of Llandridnod Wells, in the heart of mid-Wales. The idea is to have a low cost, but high-spirited community gathering. Inspired by the wonderful Bristol Acroyoga camp out. 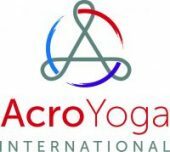 There will be plenty of Acroyoga, yoga and other movement sessions led by a variety of lovely teachers- suitable for beginners as well as the more experienced. We will also have time to chill, share food and explore the lovely area, go for a walk, swim in the river or keep playing. The big Flowering Elbow rocket BBQ will be there for a veggie feast (has to be seen to be believed ;)) as well as an open fire. This will all be hopefully mostly outside. It’s not completely roughing it, there are compost toilets, but this is wild Wales, come prepared for all the kinds of weather 🙂 Oh, and we are totally ok with acro in your jimjams/ onesies whatever! Saturday: Shared early lunch, workshops, BBQ and fire night. Sunday: Breakfast, more workshops, jamming, depart afternoon (option to stay until Monday morning). Last year, we had a wonderful time (more pics are here), hope you can join us! Who’s in? £35 early birds, £40 after 1st June. Book below (please use the form and then click the paypal link to confirm your place with a payment).